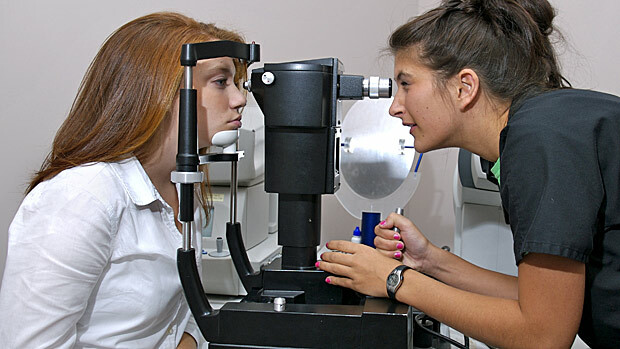 Ophthalmoscopy – checking the appearance of the optic disc (where the optic nerve joins the eye) using an ophthalmoscope, a special torch for looking into the eyes. Visual field assessment – testing the field of vision using small points of light to check for blind spots. Tonometry – measuring the pressure within the eye, either using an instrument that emits a small puff of air onto the surface of the eye, or placing a probe against the eye after it has been numbed with anaesthetic drops.